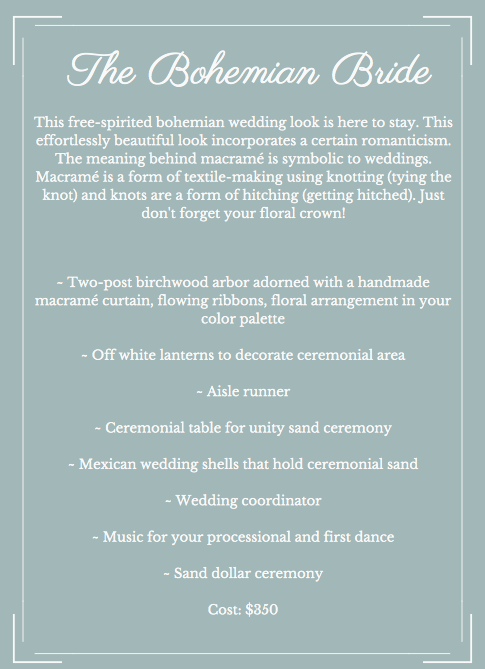 WE ARE EXPANDING OUR CEREMONY DECORATIONS TO INCLUDE FULLY DECORATED 4-POST ARBORS! Arches/arbors change the mood of the ceremony entirely. The wedding arch/arbor is a symbol of the future home of the newlyweds. Add one these stunning ceremony décor arches to compliment your elopement package. 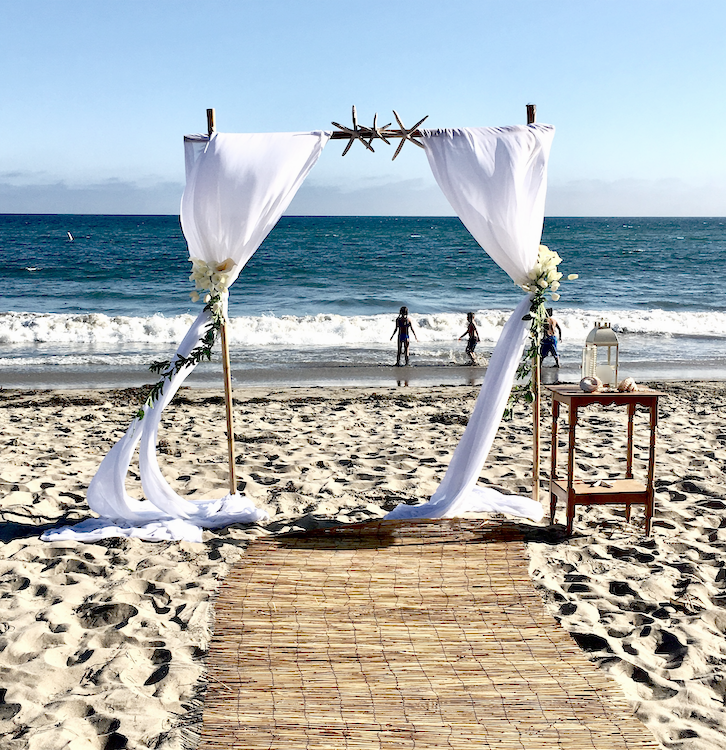 All of our ceremony décor includes a ceremonial table, unity sand ceremony ritual or an other unity ceremony ritual of your choice. 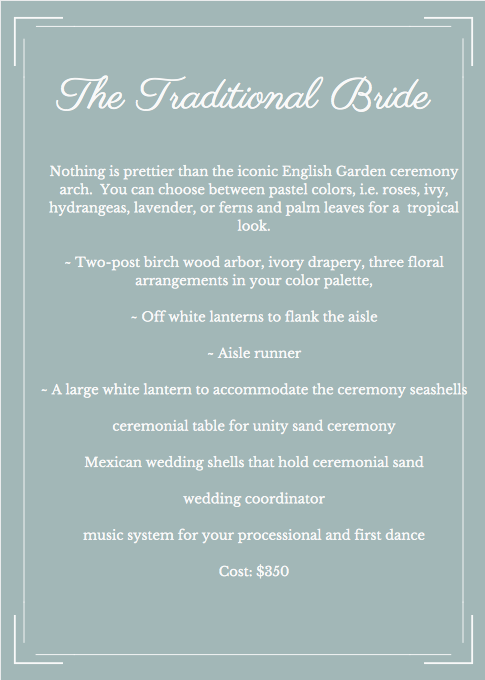 Pearlized Mexican wedding seashells will hold the natural and colored sand, sand dollar ritual (created by Alma Rose), PA system for the processional and first dance music, and beautiful floral arrangement(s) in your color palette. You have a choice of birchwood or bamboo for your arch or arbor. 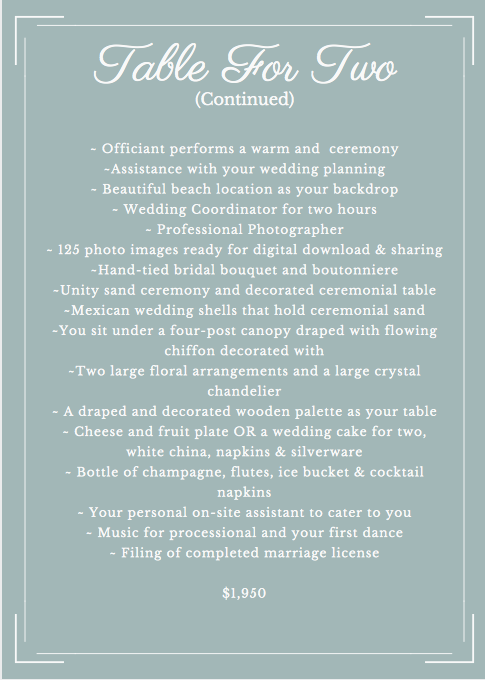 Please note that these setups are additional to the elopement packages. 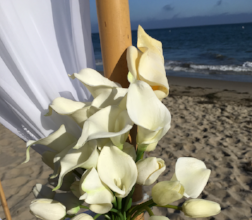 The power of flower has so many emotional benefits, especially in weddings. Flowers make us happy. 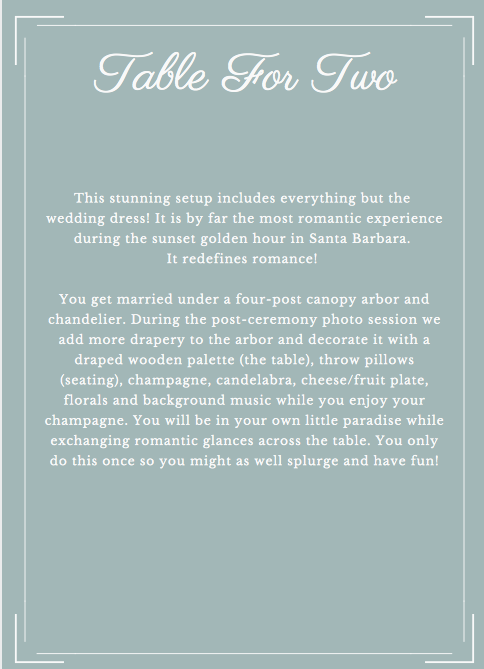 We will design a beautiful bouquet to suit your color palette. The new trend in bridal bouquets is a relaxed look. However, the traditional round bouquet will always be on trend. Send me a photo for inspiration and let's design a bouquet that resonates with your floral vision. We will be happy to customize a bouquet with flowers of your choice $95 - $125.